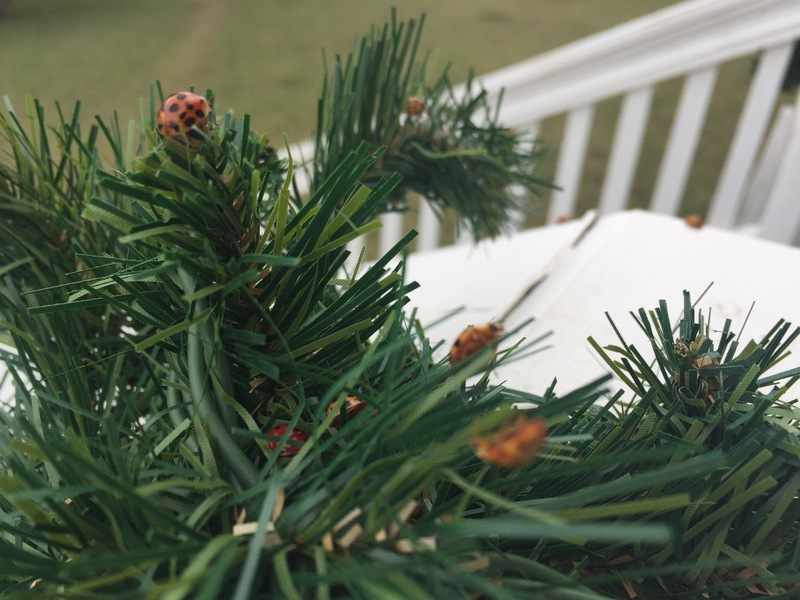 There are ladybugs all over my Christmas garlands! I guess the fact that the garlands are fake hasn’t fazed them in the least! They almost look like tiny red Christmas balls that are moving through the branches!